This 223 Rem cartridge from SinterFire’s GreenLine line of ammunition sports a 45 grain projectile. 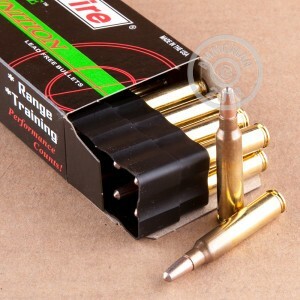 The lead-free and frangible bullet will disintegrate on contact with any surface that is harder than itself -- as such, this cartridge makes for a great choice when you are shooting steel targets and would like to minimize the risk of a dangerous ricochet occuring. That this round’s bullet is free of lead also makes it ideal for use in areas where firing toxic ammunition has been banned. As a GreenLine, even this round’s primer is free of lead, so it is far safer to fire in poorly ventilated indoor ranges where you wouldn’t like to breathe in toxic fumes. 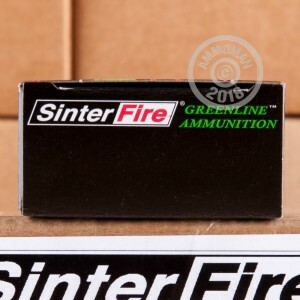 SinterFire is both the originator and world’s leading manufacturer of lead-free copper/tin frangible projectiles. 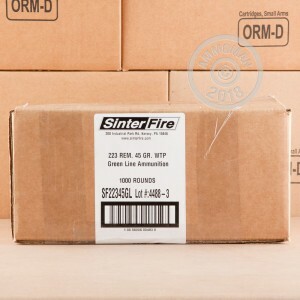 The safety that their bullets offer as well as their ammunition’s overall high quality make SinterFire’s products exceptional for training.